, he commissioned me to draw for him. He's a hybrid between lynx and fox and I had some troubles to color his fur correctly. 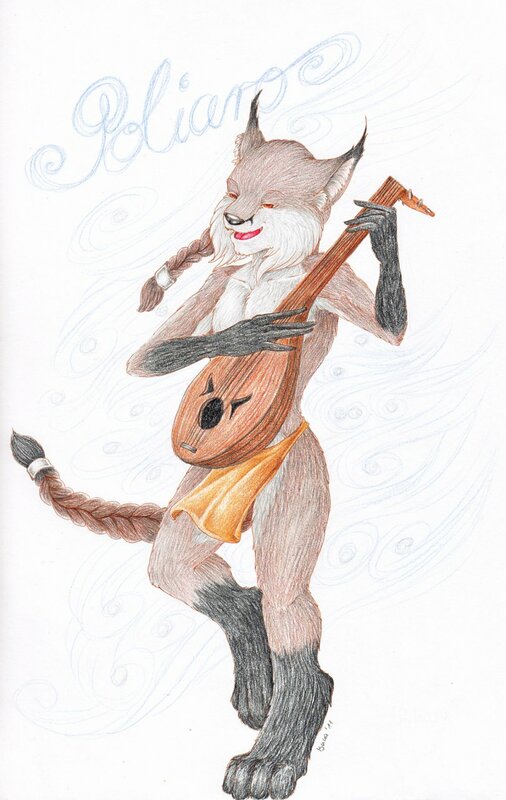 :3 The lute was challenging too. For example, on the real picture you can see the details in the background.